Nominations for the RTPI Awards for Planning Awards Excellence are now open through to 14 December 2018. The awards are the longest running and most high-profile awards in the industry. For 40 years they have rewarded the brightest talent in the profession; the teams, projects and individuals that transform economies, environments and their communities all over the UK and internationally. With planners tackling some of the most pressing issues of our time, from population growth and housing shortage to environmental issues and climate change, it has never been more important to reward the contributions of the profession to society. Being shortlisted for one of the prestigious awards is an excellent opportunity to raise the profile of a team, consultancy or individual. It is also completely free to enter. New to this year is “Excellence in Tech within Planning practice”. This category recognises any projects that have used a new type of technology or used technology in a new or innovative way. The finalists will be announced in February 2019 and the winners will be announced at a ceremony on 24 April 2019, at Milton Court Concert Hall in central London. If you would like to make a submission, click here for more information. This entry was posted in Awards on November 1, 2018 by Carla Pianese. Applications are now being accepted for the Emerging Scholars Essay Prize from the Historians of German, Scandinavian, and Central European Art and Architecture (HGSCEA), an award of $500 given annually to the author of a distinguished essay published the preceding year on any topic in the history of German, Scandinavian, or Central European art, architecture, design, or visual culture. Submissions, which must be in English and may be from electronic or print publications, must have a publication date of 2017; applicants must be either current Ph.D. students or have earned a PhD in or after 2013 and must be members of HGSCEA at the time of application. (For membership information, see hgscea.org.) The recipient of the Prize (along with honorable mentions as appropriate) will be chosen by the members of the HGSCEA Board, notified in late January 2018, and publicly announced at the HGSCEA dinner reception during the College Art Association annual conference. Submissions should include a copy of the publication and a CV and should be sent by electronic attachment to the HGSCEA Secretary, Juliet Koss (jkoss@scrippscollege.edu), before December 18, 2017. This entry was posted in Awards on October 23, 2017 by Carla Pianese. The MCT is a grant-making body which also runs an Awards Scheme of some 75 Awards in partnership with organisations across the fields of Heritage, the Arts, Social Welfare and Environmental Conservation. The Awards recognise those who voluntarily or professionally go above and beyond to make a difference to a cause that they believe in. The IHBC sees itself as a key partner in this endeavour for the current (and possible future) awards. The Trust provides grants to registered charities working in the fields of social welfare, literature arts and heritage, environmental and animal welfare, healthcare and medical research, education and training and a small number overseas. The Trust runs a portfolio of Awards with a number of internationally and nationally recognised organisations such as Barnardos, the British Museum and the Zoological Society of London. The Awards seek to recognise unsung heroes who all aim to improve the world we live in. Recipients of Marsh Awards range from scientists working in conservation biology and ecology, to authors and sculptors from the arts world, and those who give their time unselfishly to work with the young, the elderly, people with mental health issues and for our heritage. This entry was posted in Awards on September 17, 2017 by admin. The Churches Conservation Foundation makes awards of between £500 and £1000 in June each year to young craftspeople showing the most innovative and enthusiastic approach to learning heritage skills, and those with the clearest idea of how the development of their knowledge and future career in heritage will benefit from the award. Deadline for applications: Monday 15th May 2017. This entry was posted in Awards on April 10, 2017 by Carla Pianese. Full scholarships are available for outstanding students starting in October 2017. The MSc is a multi-disciplinary and globally-focused course for high-achieving professionals who will provide vision and leadership for sustainable urban futures. It is specially designed to be taken whilst working, with eight intensive teaching weeks in Oxford and London, and a final dissertation project, all fully supported through our web-based learning environment. The MSc is delivered in partnership with the Prince’s Foundation for Building Community and is accredited by the Royal Institution of Chartered Surveyors. This entry was posted in Awards on November 17, 2016 by Carla Pianese. 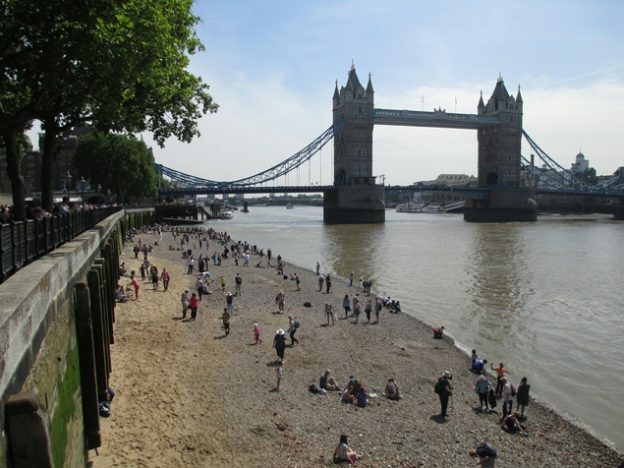 John Schofield, Secretary of the City of London Archaeological Trust (CoLAT), invites applications for small- to medium-sized grants to support archaeological work and related documentary research in the City and its environs, as in previous years. The grants will be for one year only from 1 April 2017, with a deadline for applications (with required references) of Friday 23 September 2016; CoLAT will meet to decide the grants in early December. Application forms and guidelines for revised procedures can be found on the CoLAT website, which has been enhanced with examples of recently funded CoLAT research and other information. Guidance can also be obtained from john@jschd.demon.co.uk. This entry was posted in Awards on June 6, 2016 by Carla Pianese. The National Heritage Training Group (NHTG) has been awarded £779,200 funding by the Heritage Lottery Fund (HLF) to provide high quality, work-based training and skills development opportunities to equip people for a career in the built heritage sector, with the bursaries organised across the country by regional heritage coordinators. The National Heritage Training Group’s (NHTG) bursary scheme is all about finding passionate, enthusiastic and dedicated people to be trained to work on England’s traditional buildings. Overall, there will be 30 variable-length educational bursaries offered, working on live heritage sites across England. 10 Mentors to train enabling them to pass on their skills and knowledge to develop the abilities of less experienced trades people. a specialist Historic Building Conservation company, 12-month placement with Carrek Ltd based on historic projects in the South West of England.. Application closing date: 27/05/16. a Historic Building Conservation company 12-month placement with Oxford Lime Mortar Ltd specialising in lime mortars and associated materials working on historic projects within a 30mile radius of Oxford. Application closing date: 27/05/16. a 12 month placement with a specialist Historic Building Conservation company, McCurdy & Co Ltd based on historic projects in the South of England. Application closing date: 20/06/16. a 6-month placement to learn Pargeting (lime plaster modelling) and many other built heritage skills, working with Anna Kettle Design, an experienced Pargeter and historic building conservation specialist practitioner. The placement will be based at a 17th Century timber frame farmhouse near Bedford, in the South of England. This entry was posted in Awards on May 31, 2016 by Carla Pianese.